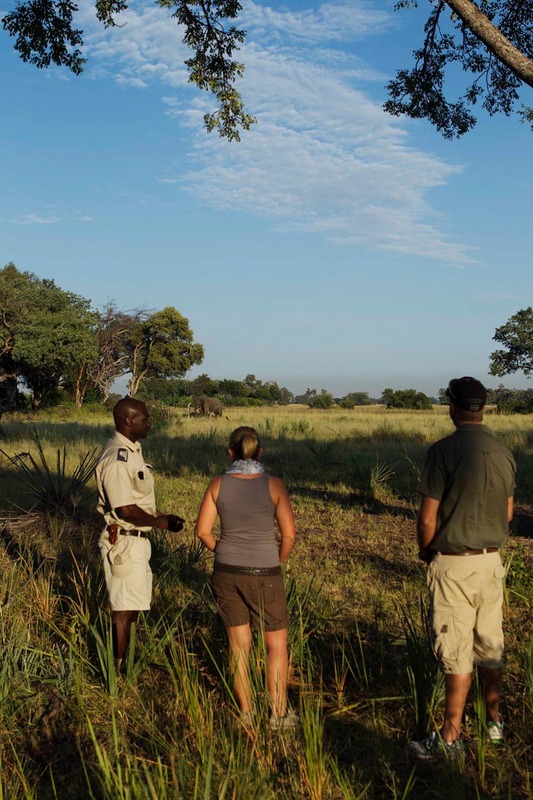 Pom Pom can be accessed by light aircraft only and is therefore truly remote and secluded. 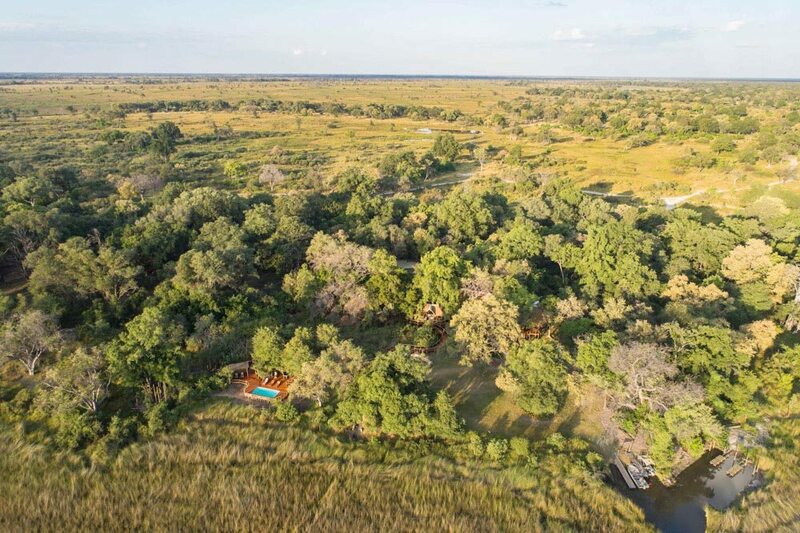 It is located in a private concession right in the heart of the delta. 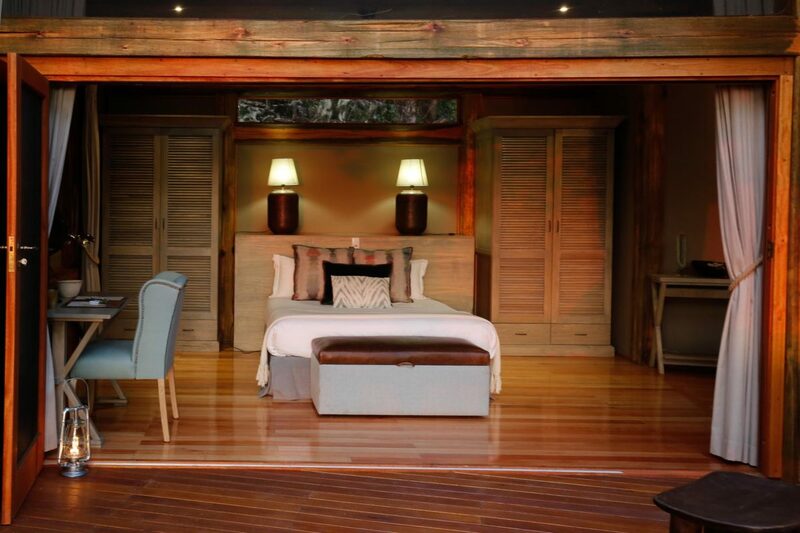 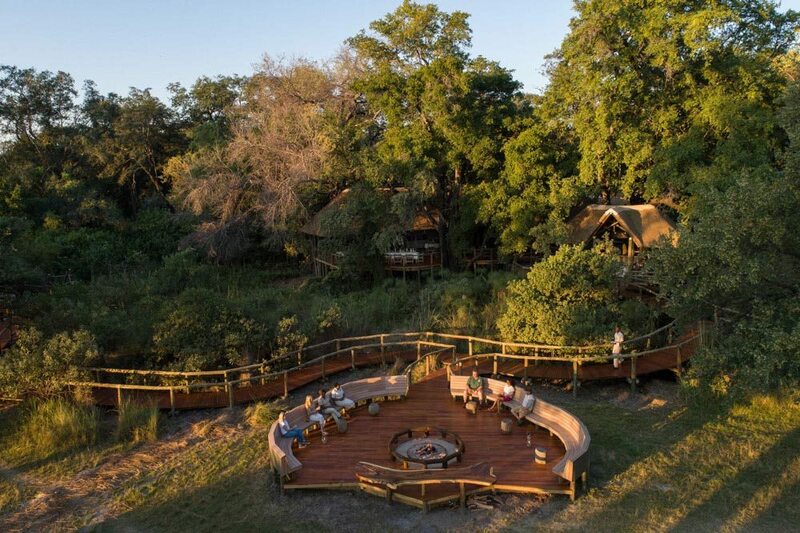 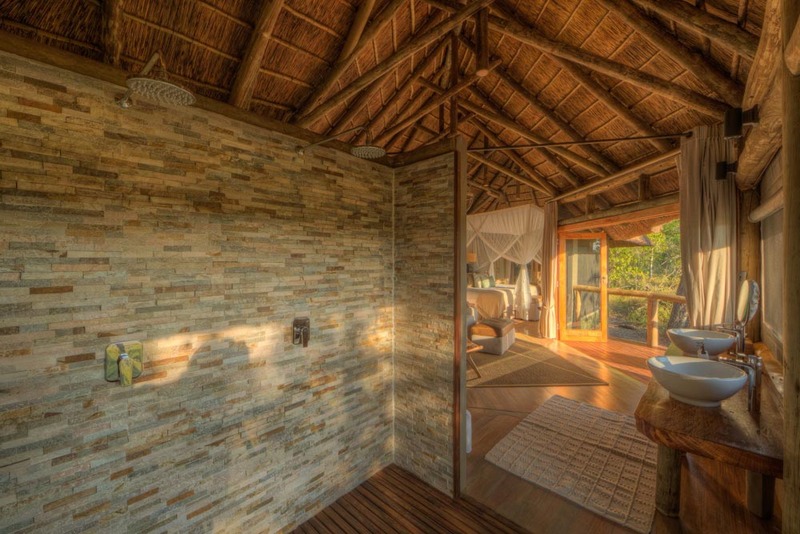 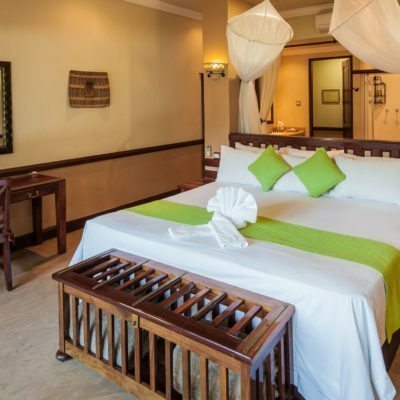 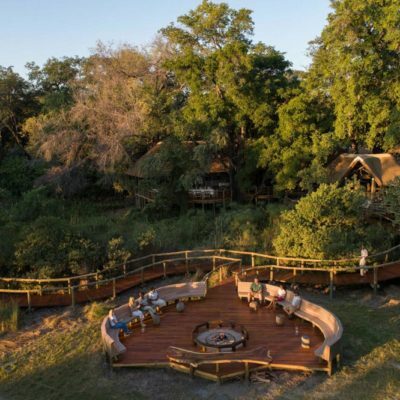 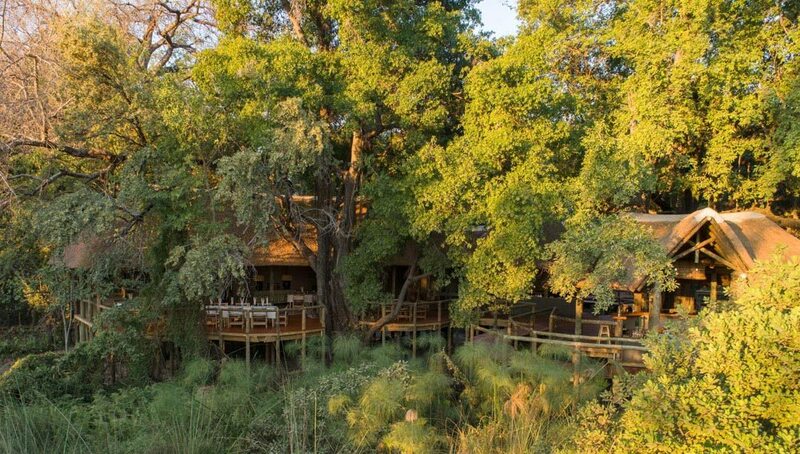 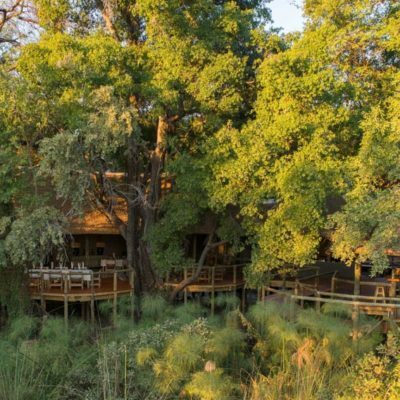 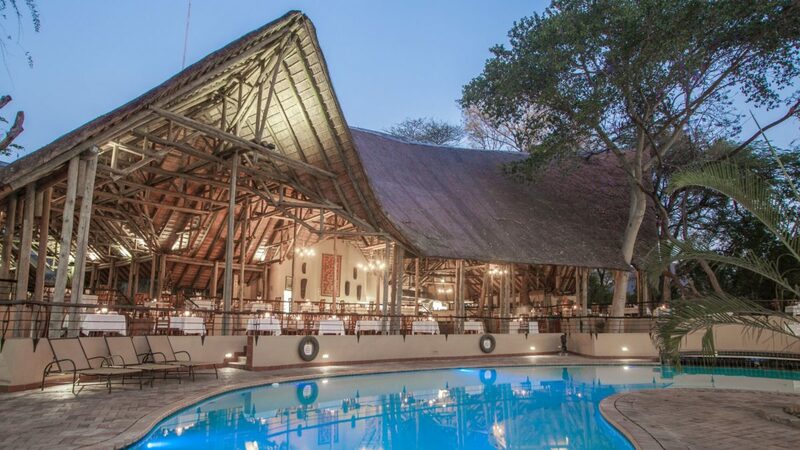 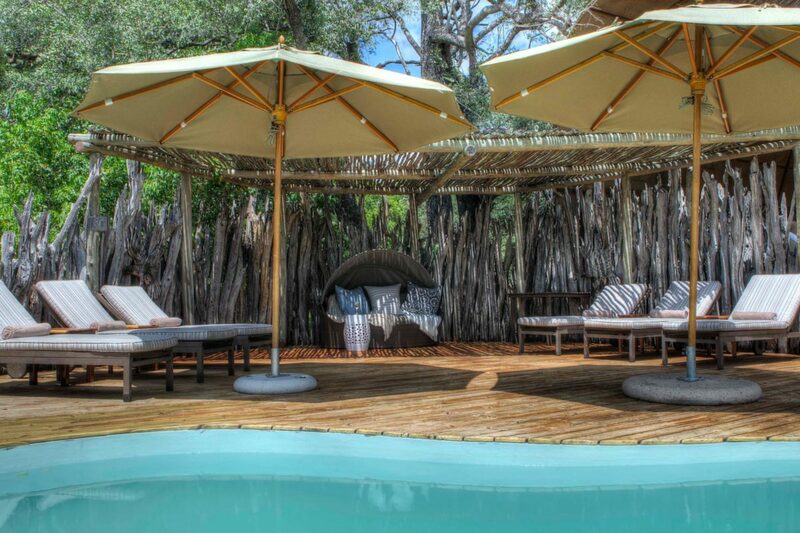 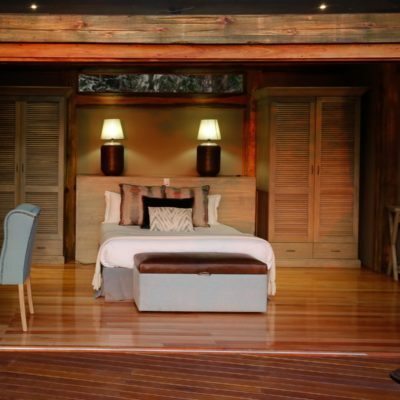 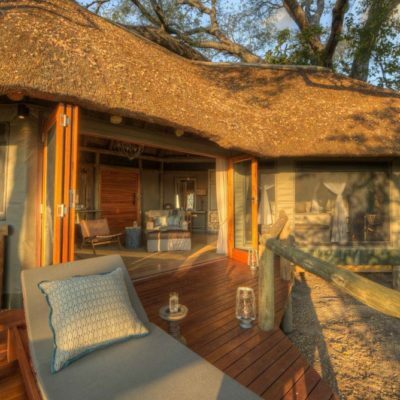 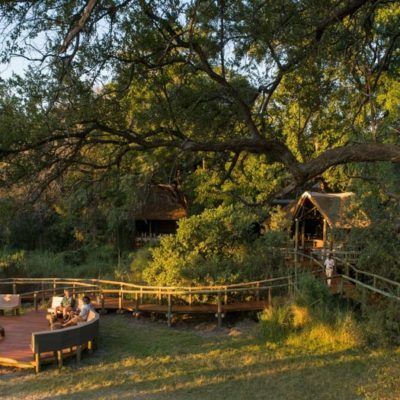 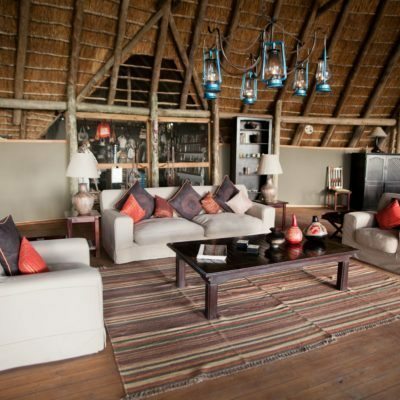 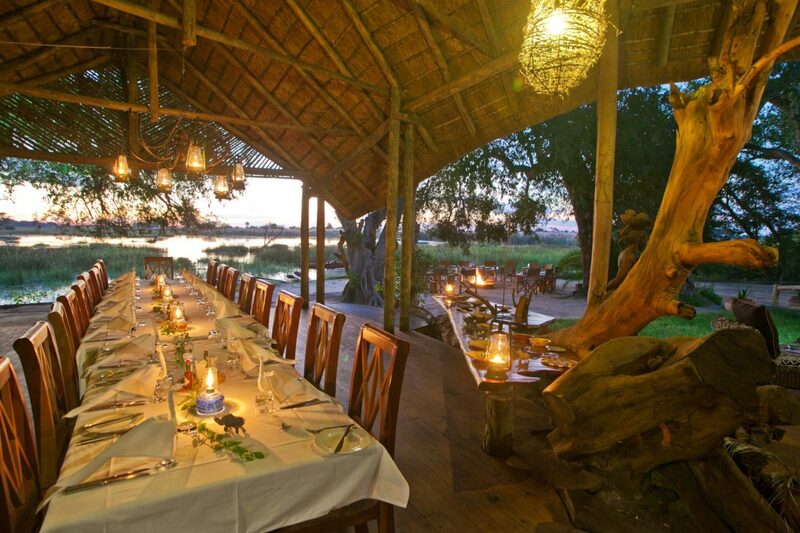 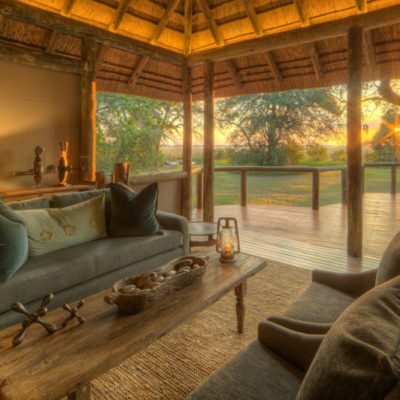 We like the fact that this lodge has remained relatively small with space for only 18 guests. 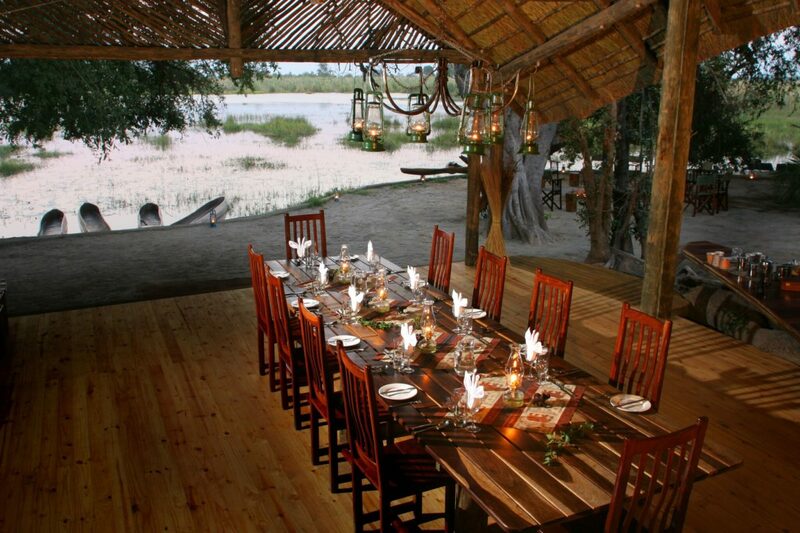 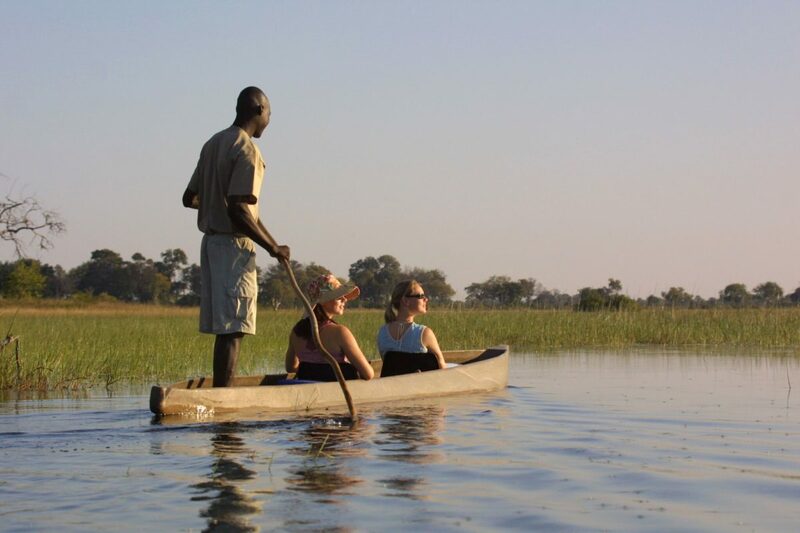 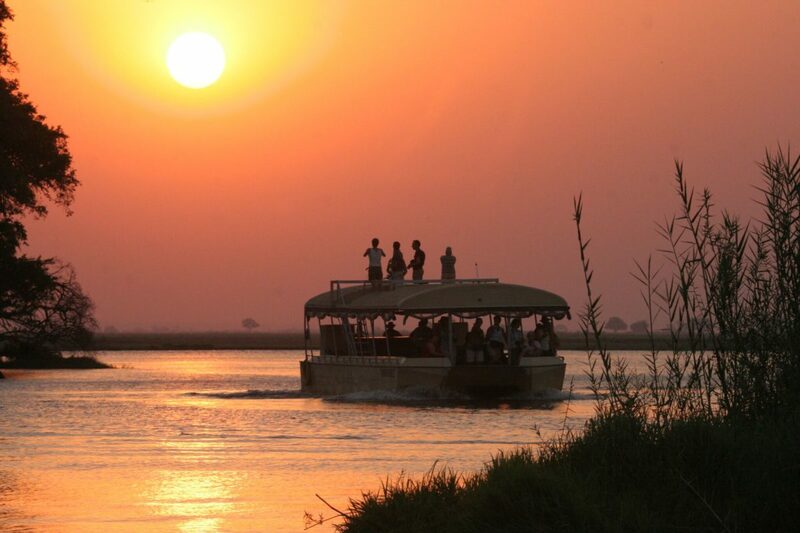 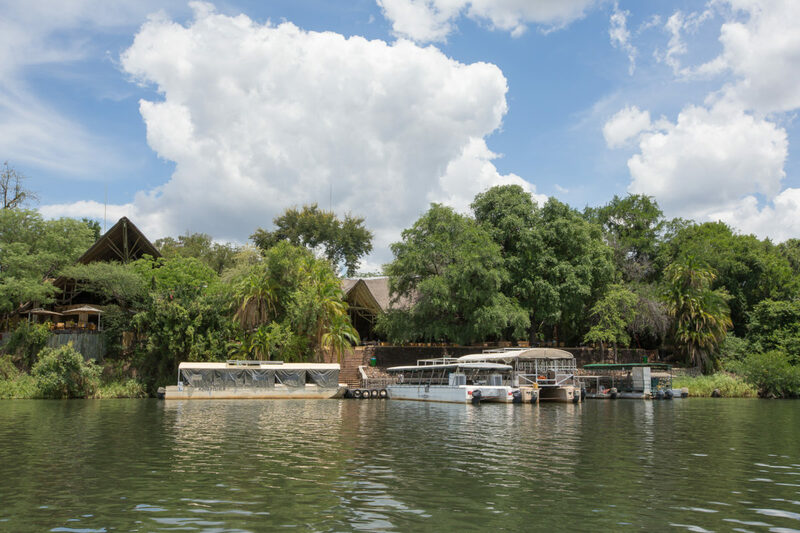 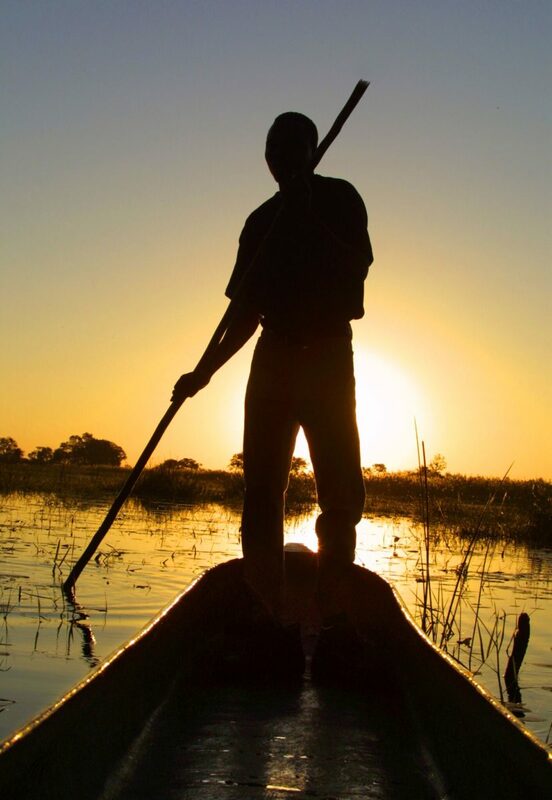 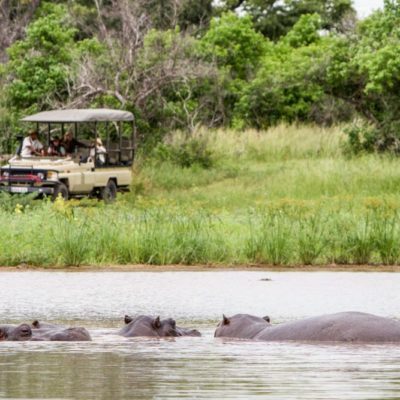 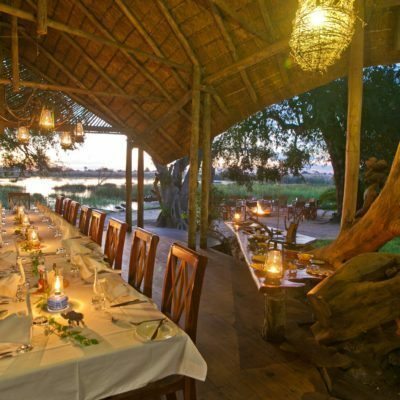 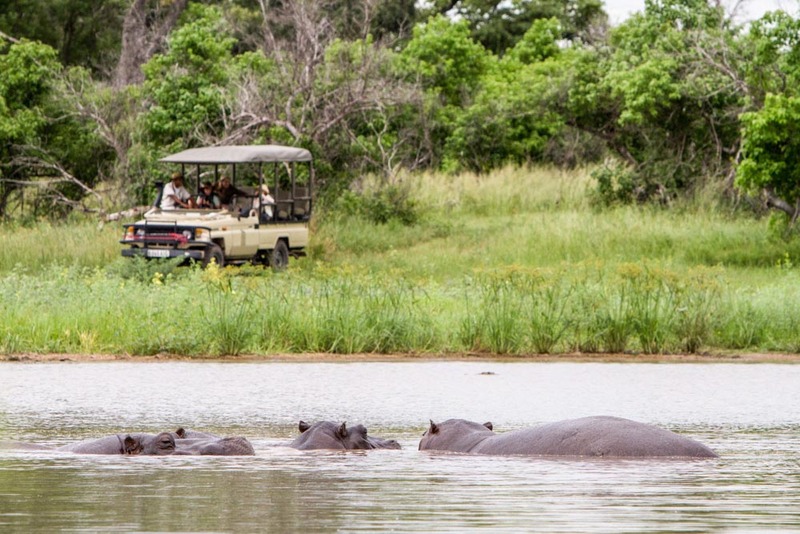 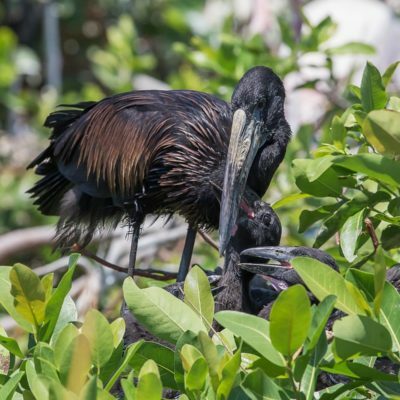 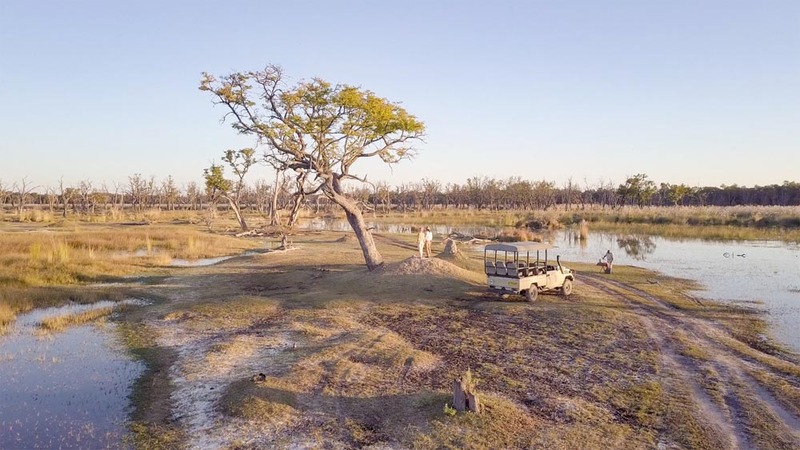 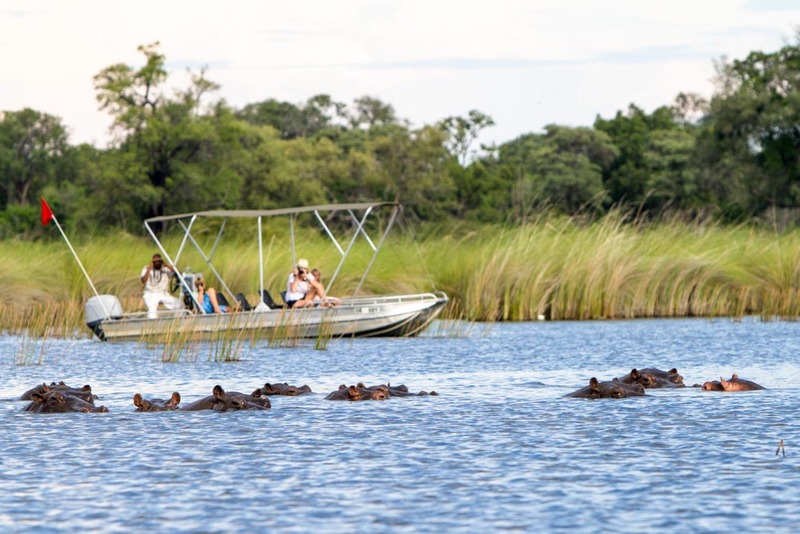 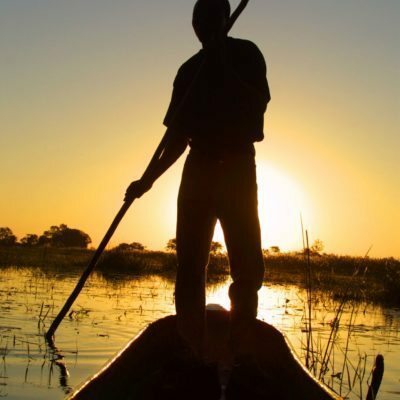 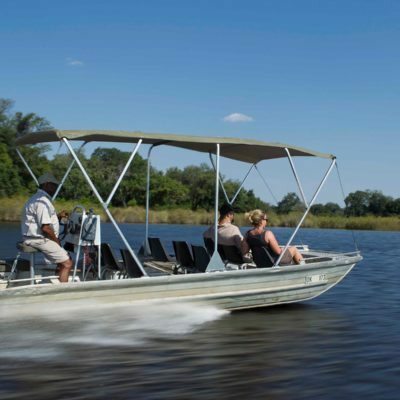 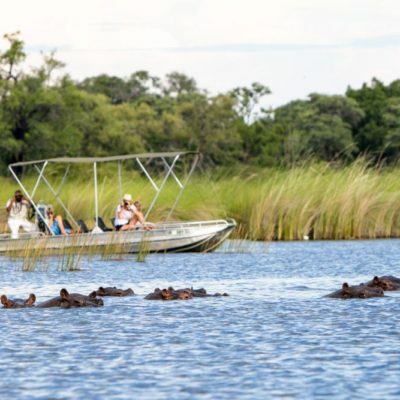 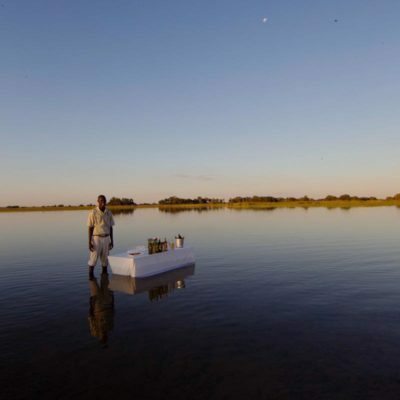 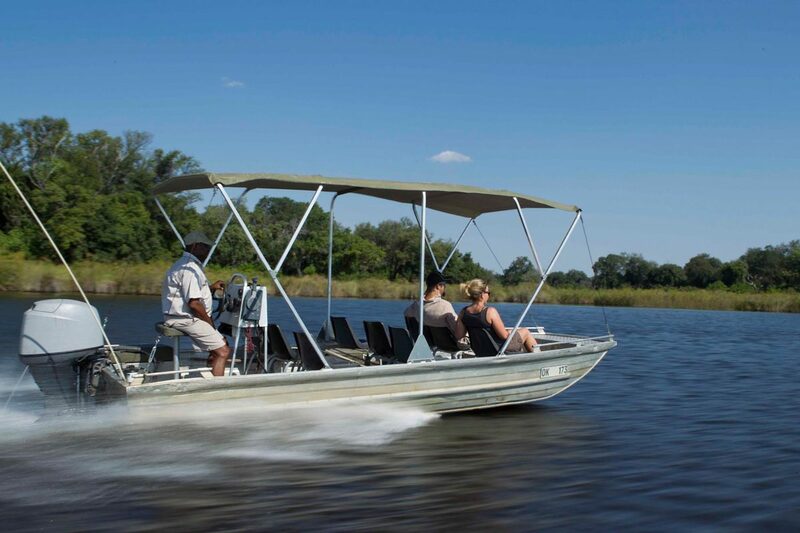 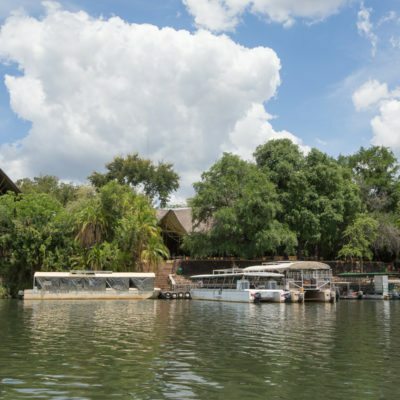 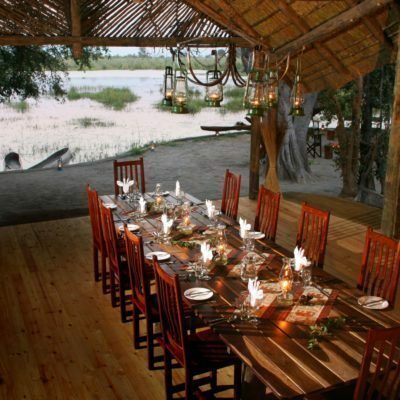 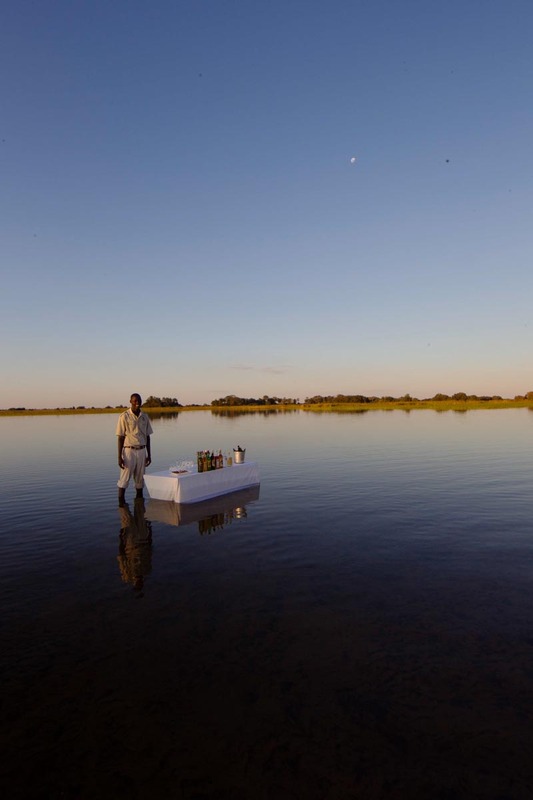 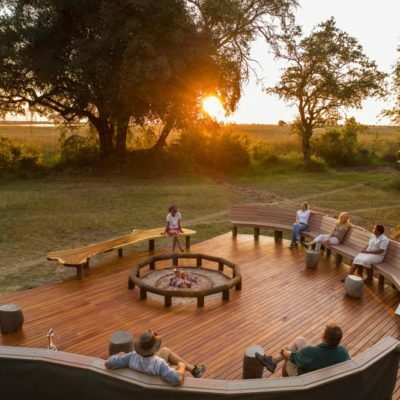 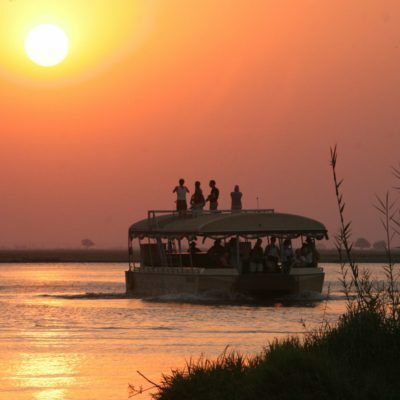 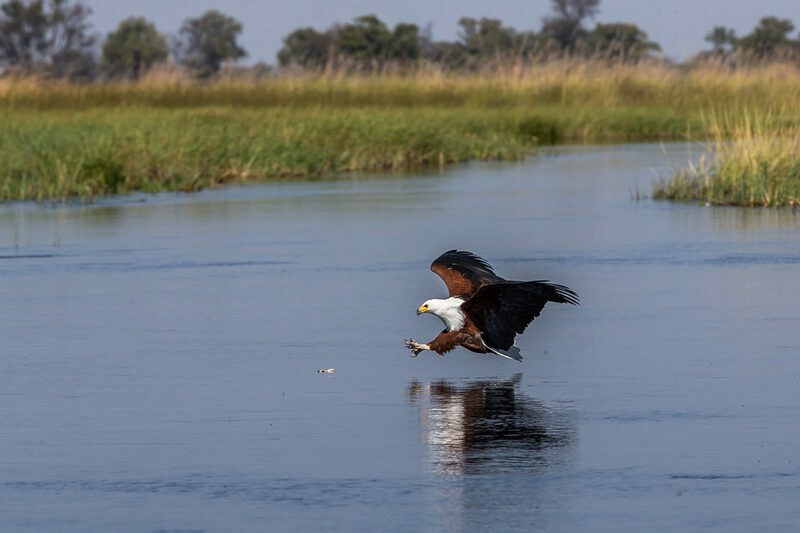 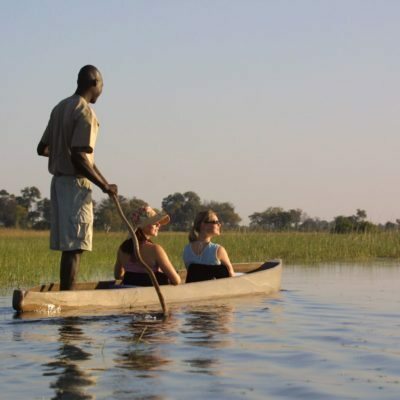 What immediately comes to mind with Pom Pom, is that you can do a variety of delta activities all from the base of this lodge – productive drives (day and night), walks, mokoro and boating. 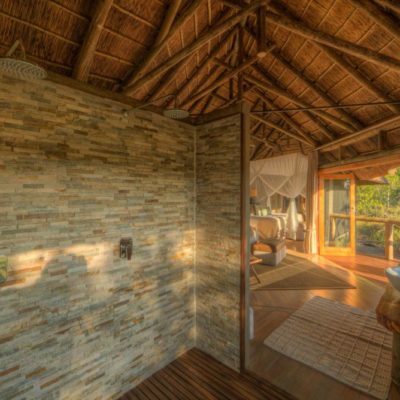 If you only had time for one lodge, this could be it? 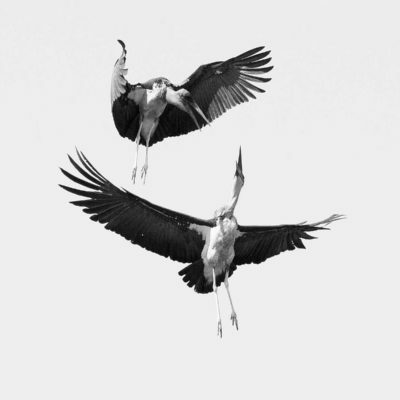 You must fly into Pom Pom. 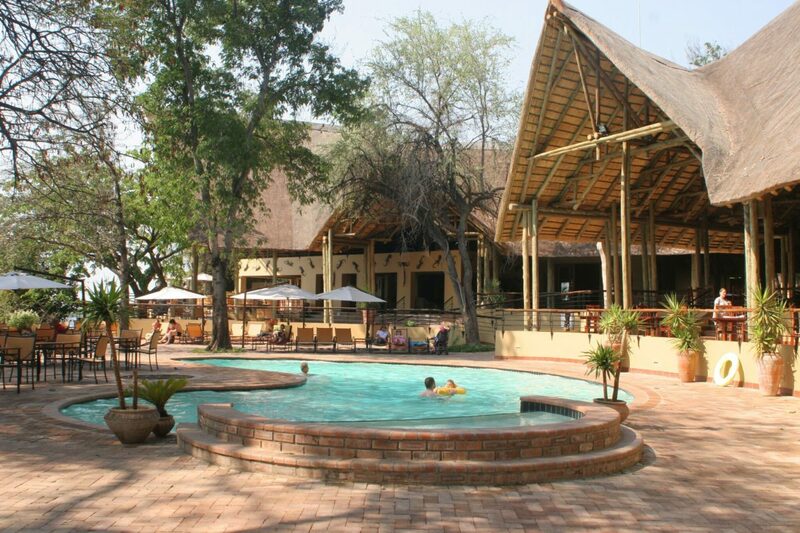 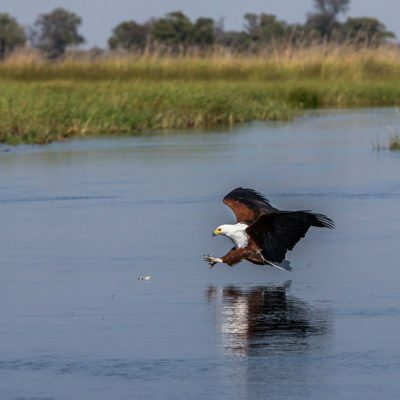 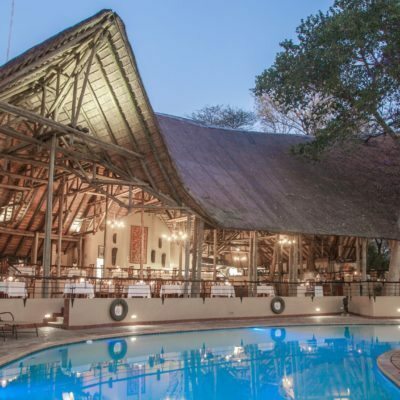 It is only a short 20 minute flight from Maun airport. 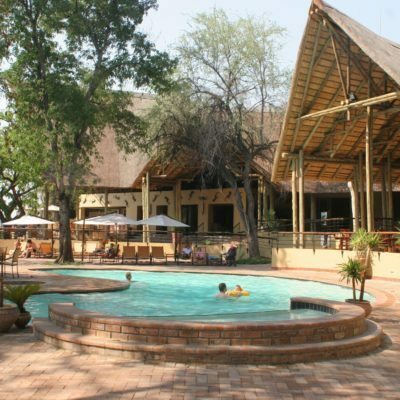 We like this camp because it offers the full range of guided activities. 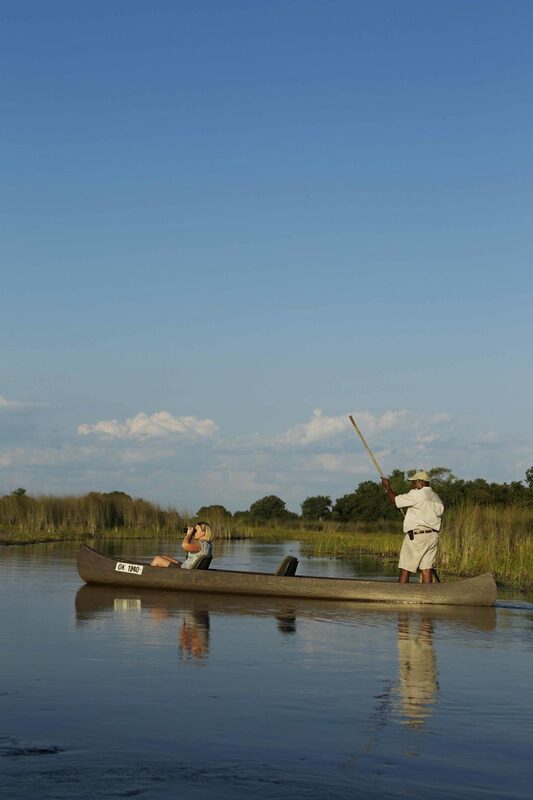 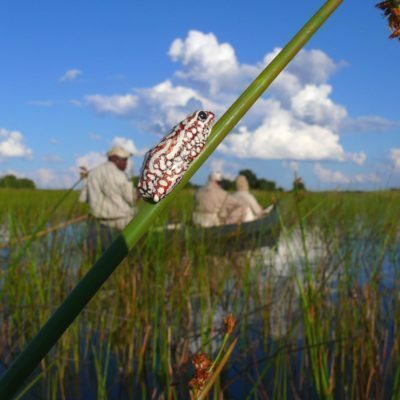 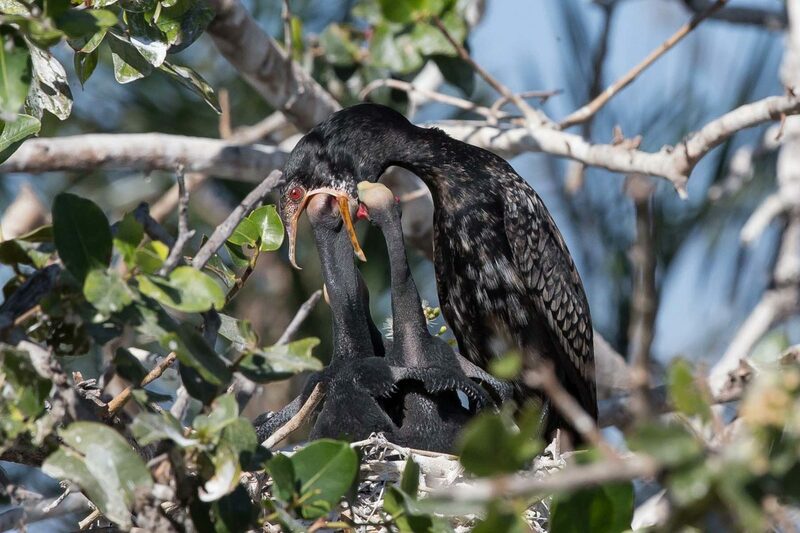 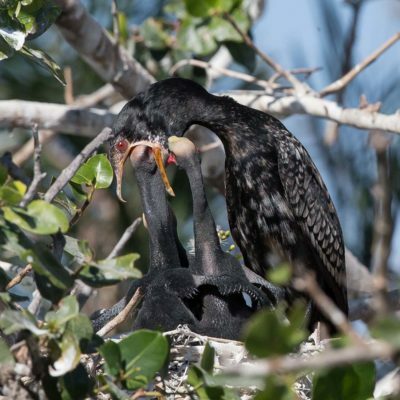 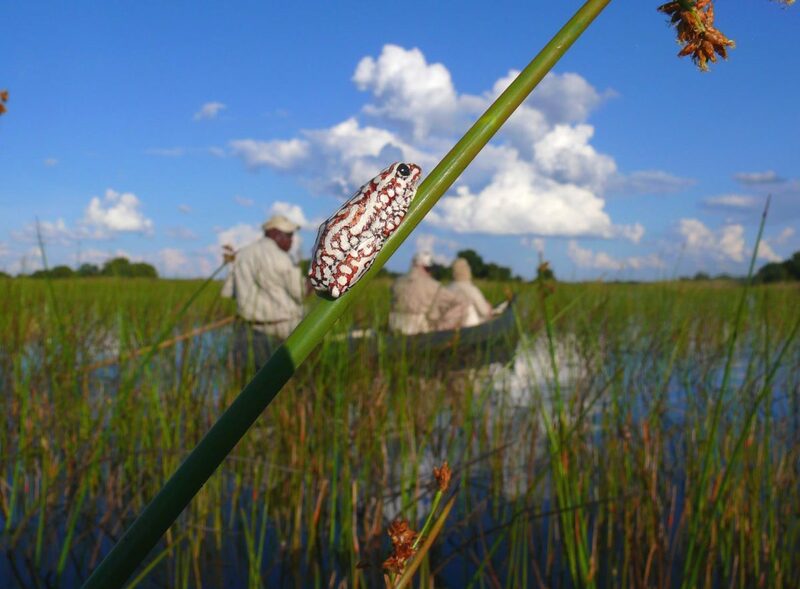 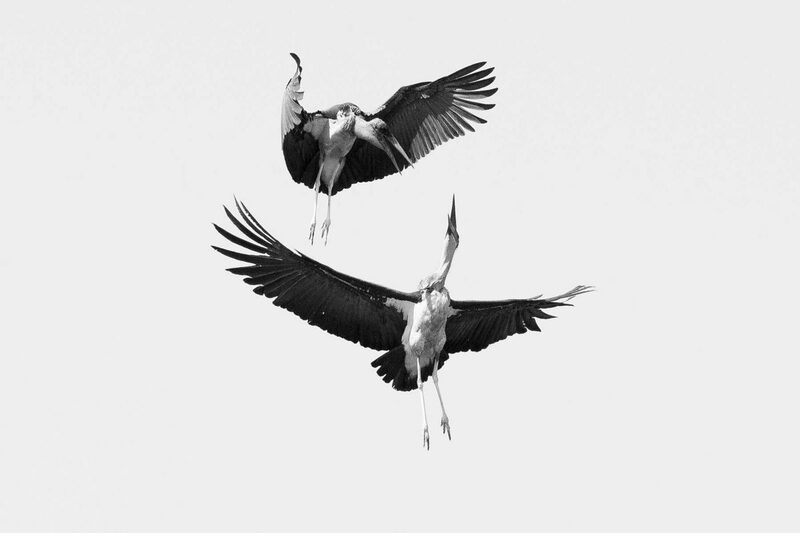 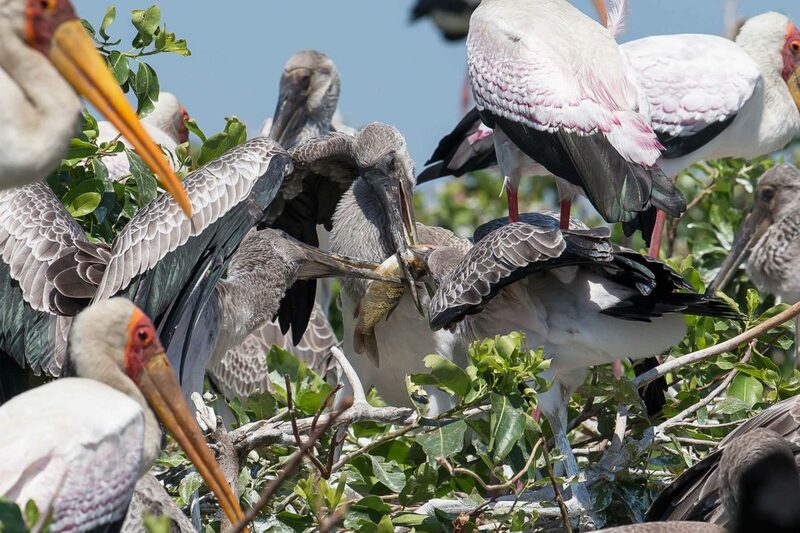 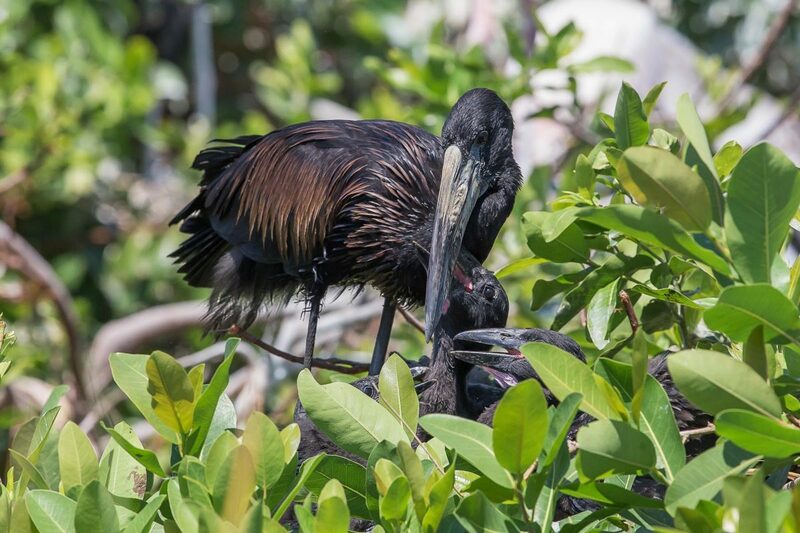 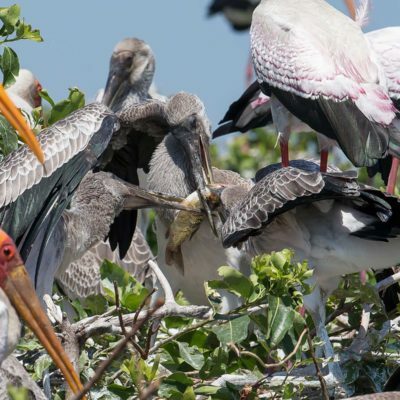 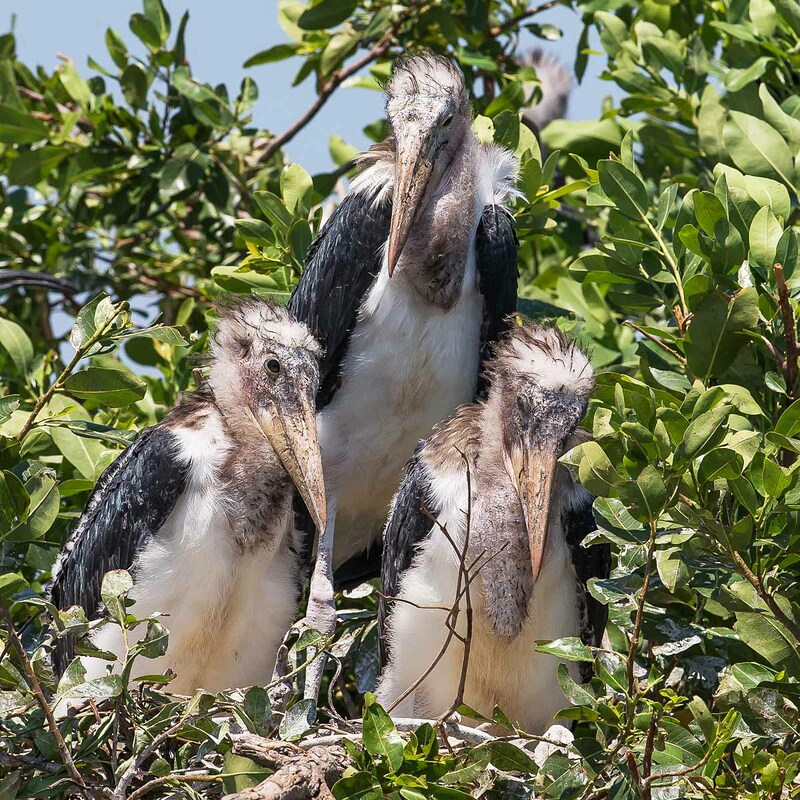 You could come here and fulfill a good all-round experience of the delta and its various habitats. 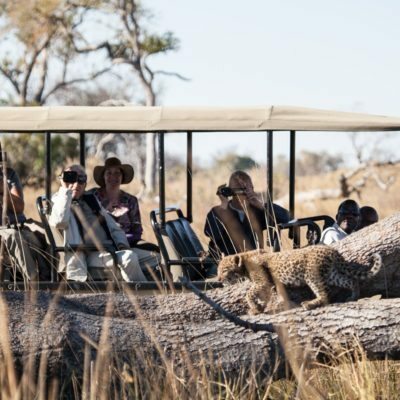 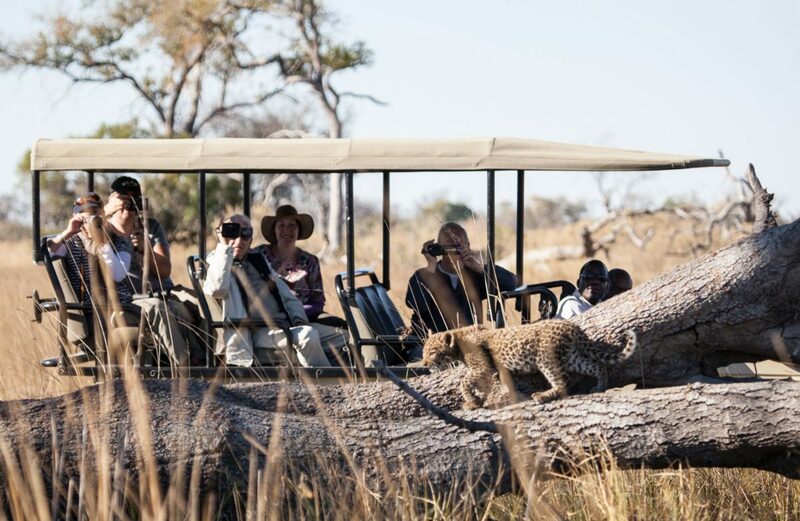 Pom Pom is located in a private concession, so guides are permitted to drive off road in search of animals. 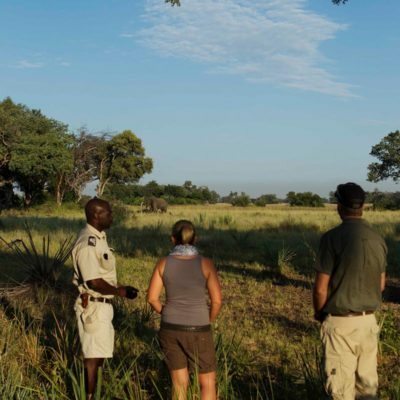 Further, walking can be carried out with armed guides. 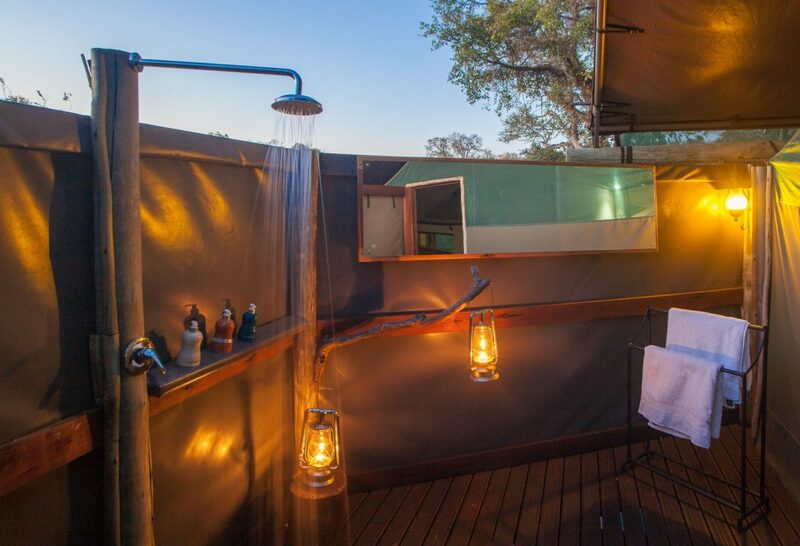 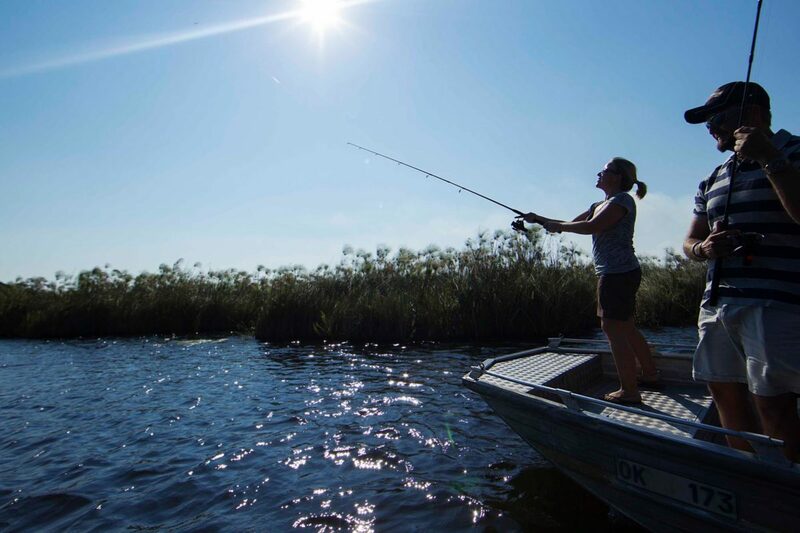 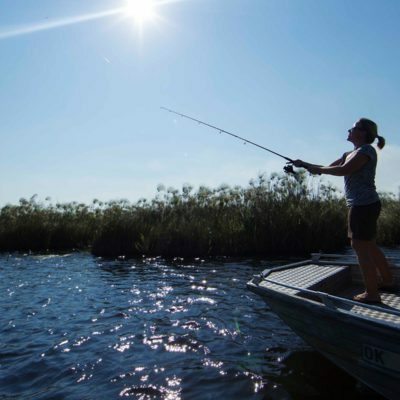 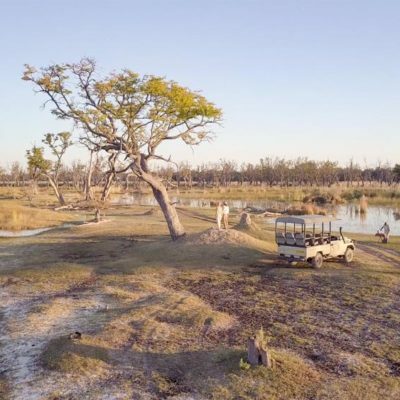 The camp is open all year, but flood levels do vary considerably in this part of the delta: This can effect your activities so do inquire on booking. 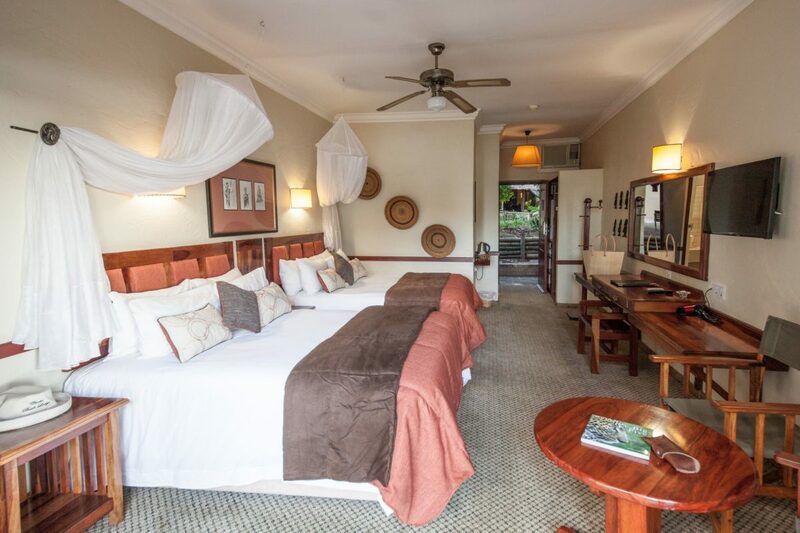 Pom Pom has had a recent refurbishment which means it is up to date in terms of accommodation and best eco-friendly practices. 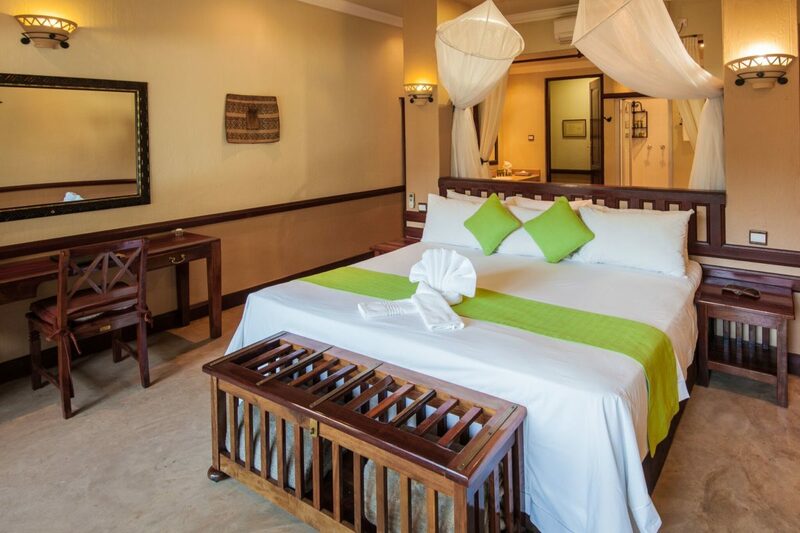 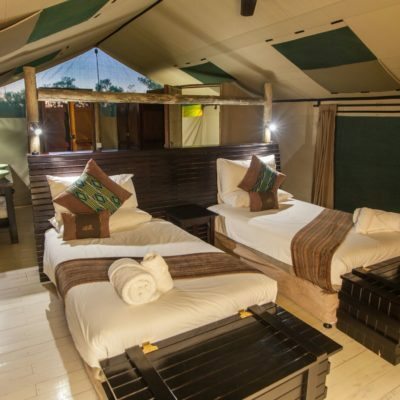 It has however, maintained the “classic” style safari tents – which are raised “Meru” tents with en-suite facilities. 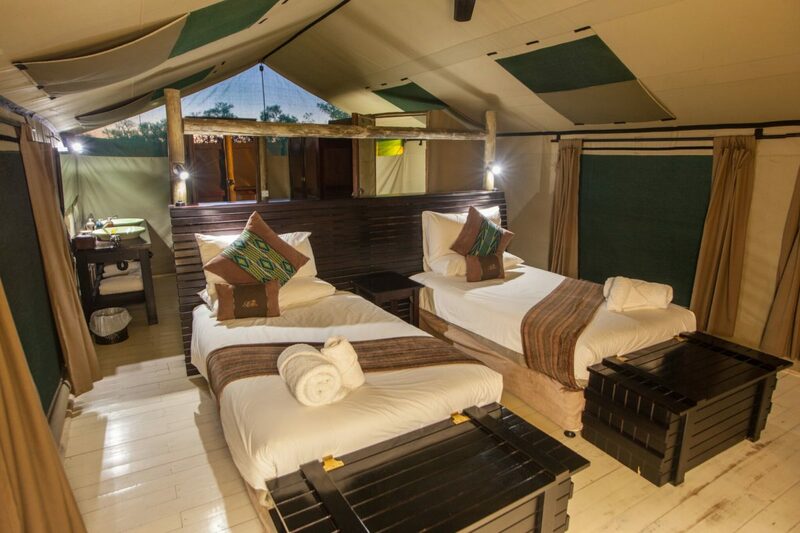 The Pom Pom tents are extra long – providing a bedroom, a small living area as well as an outside deck. 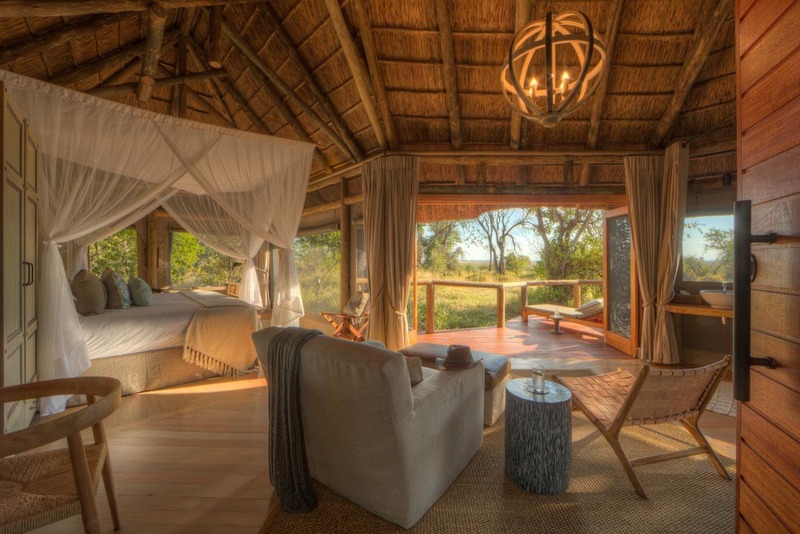 By the way, Pom Pom means “mosquito” in the local language. 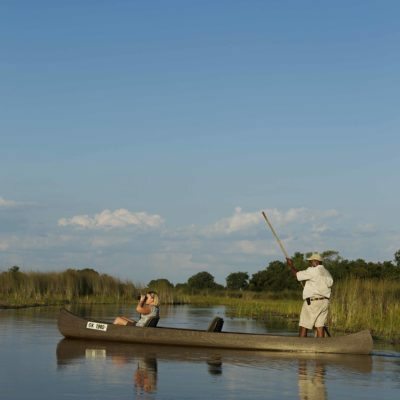 Don’t worry, it does not refer to the area being infected with clouds of mosquitos! 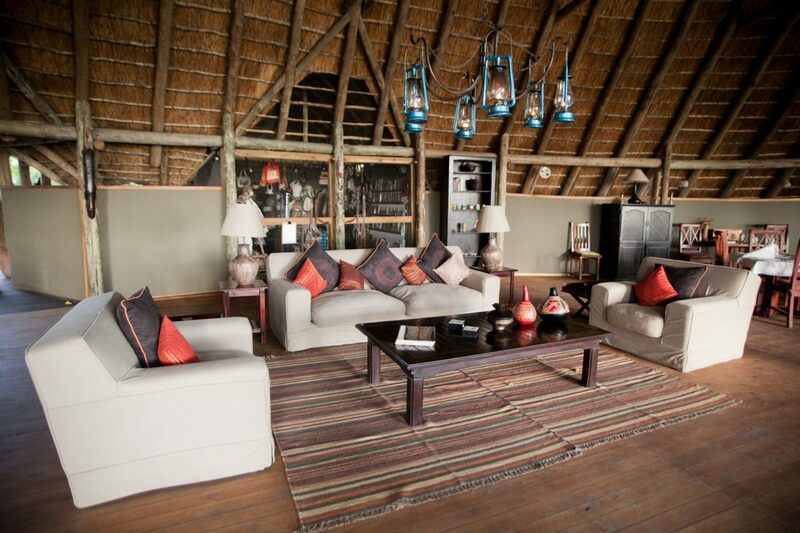 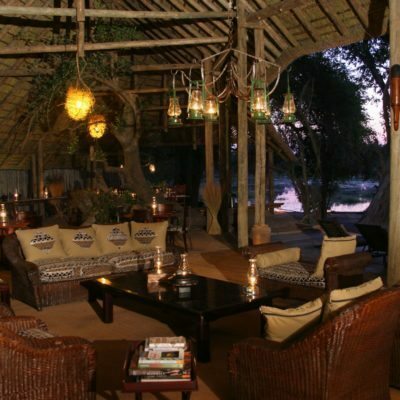 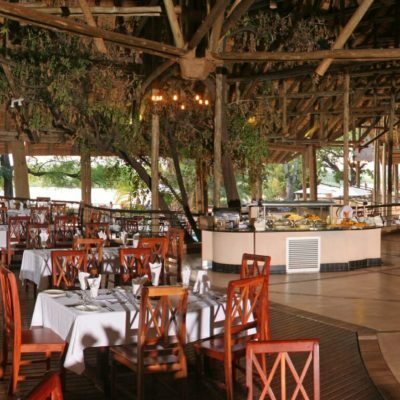 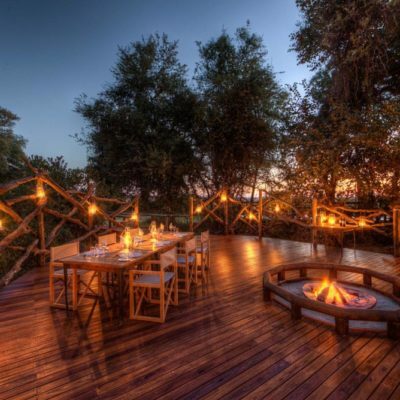 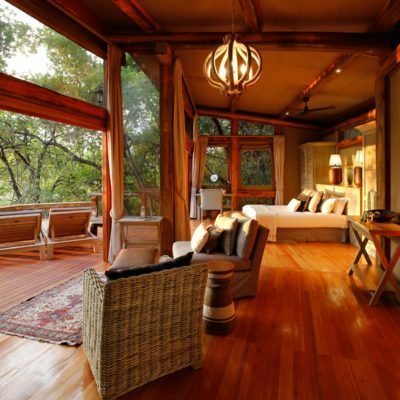 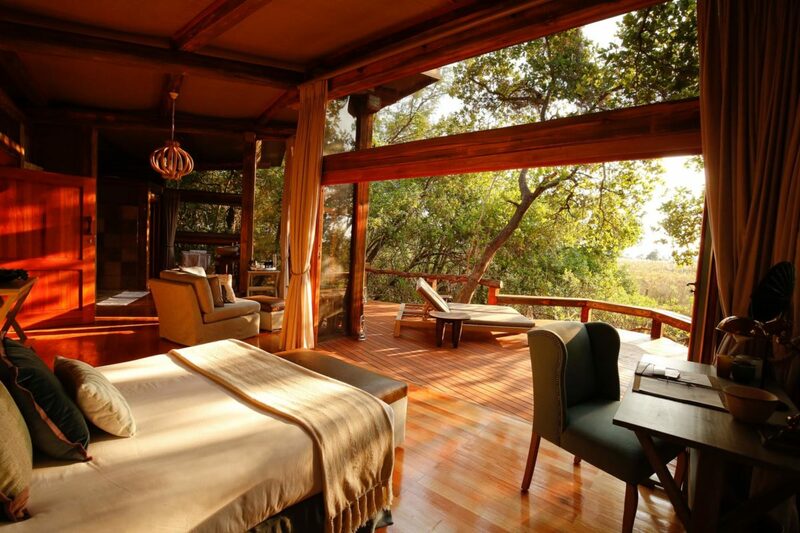 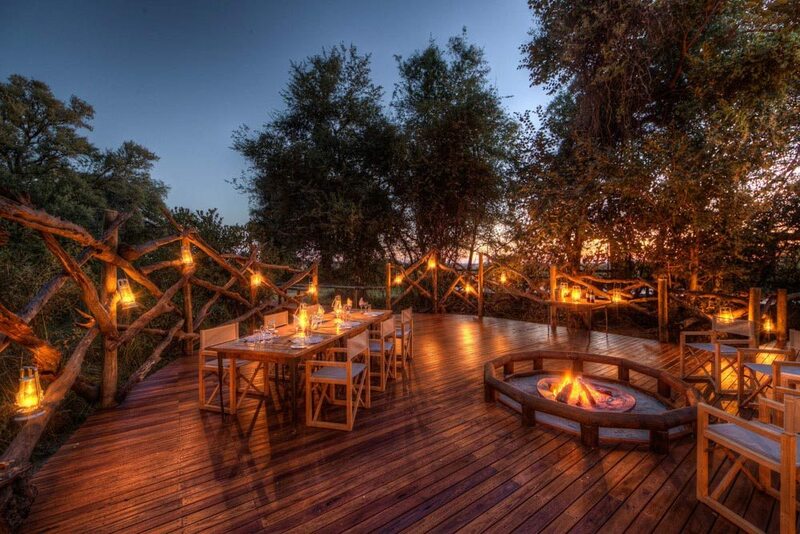 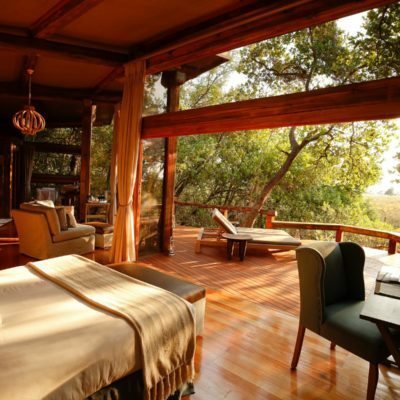 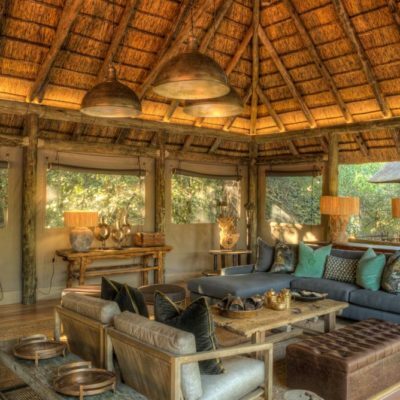 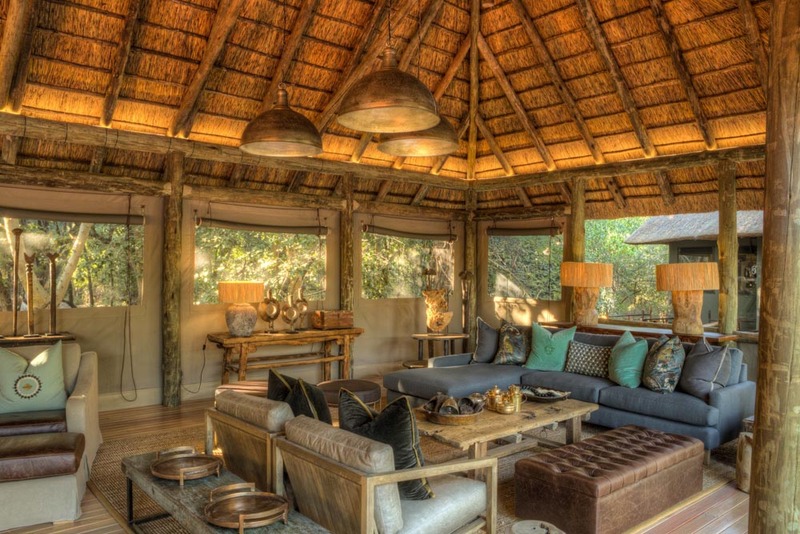 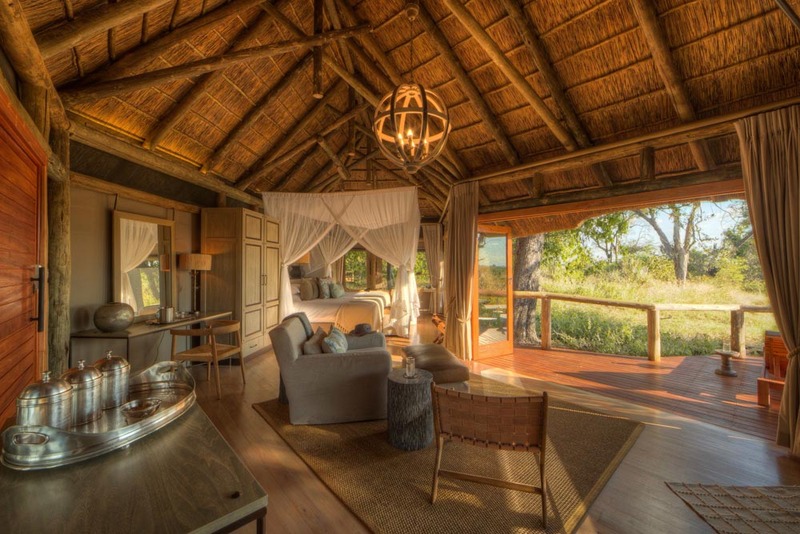 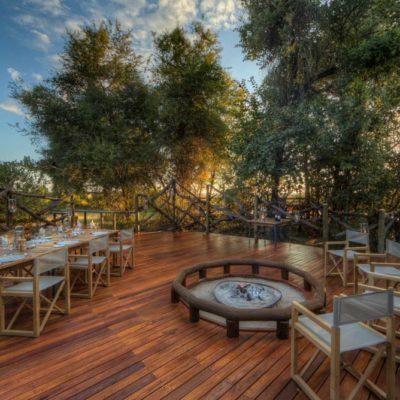 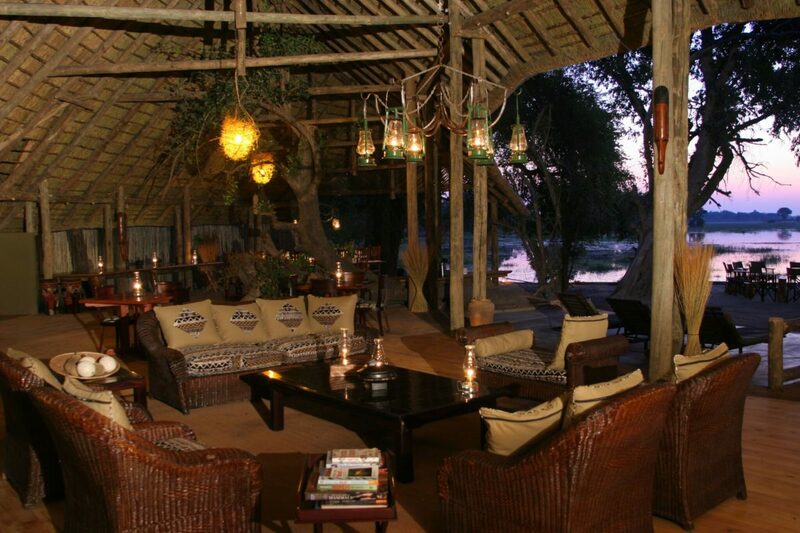 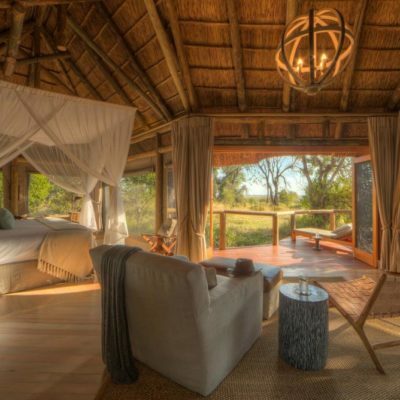 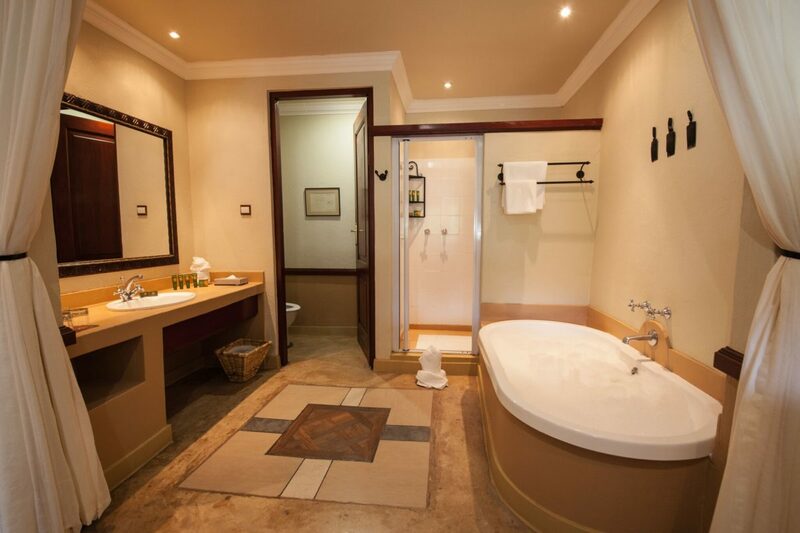 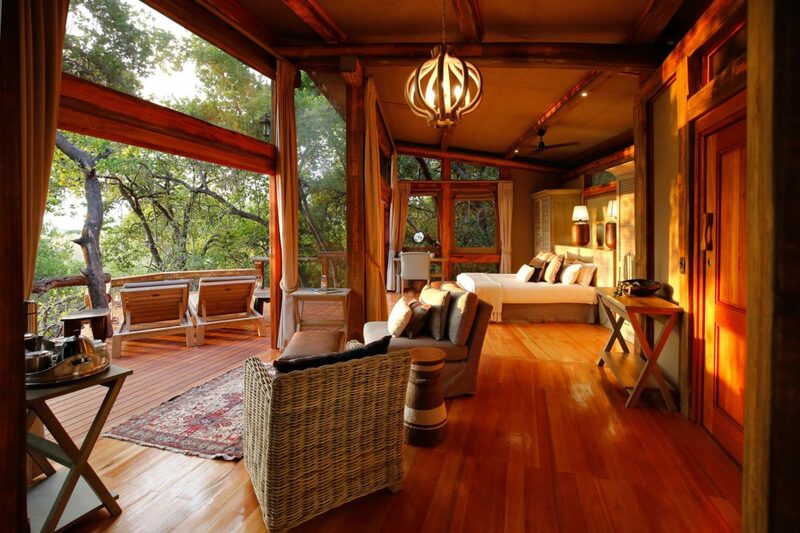 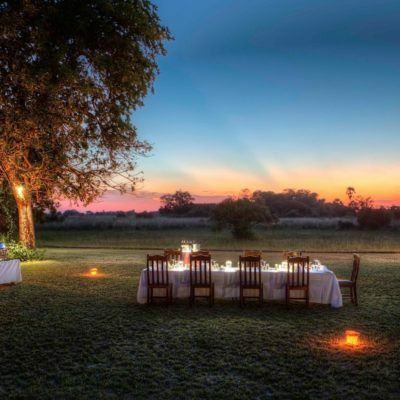 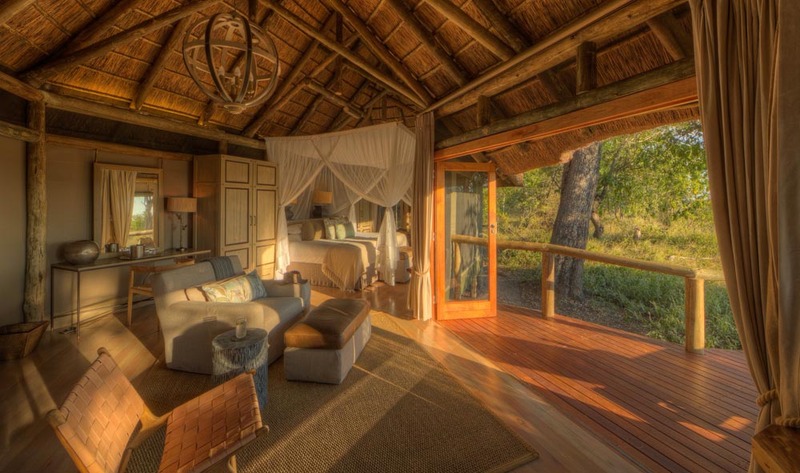 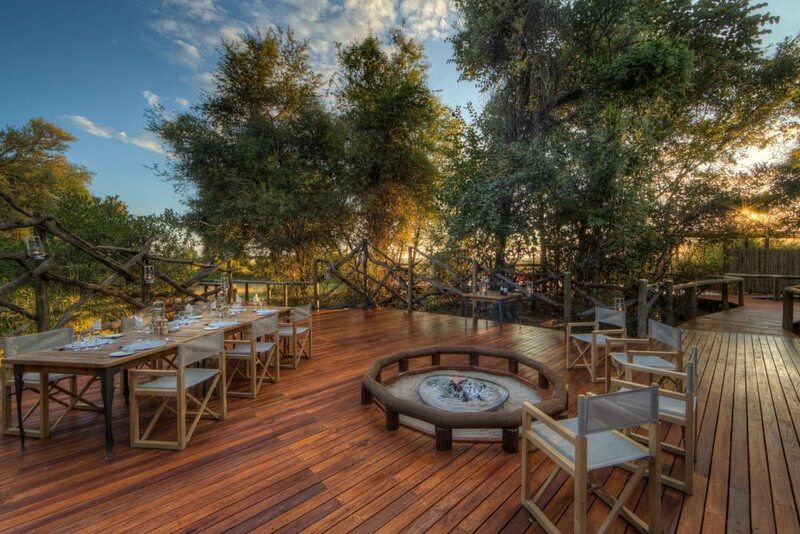 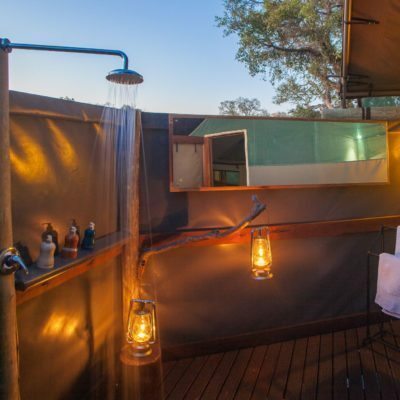 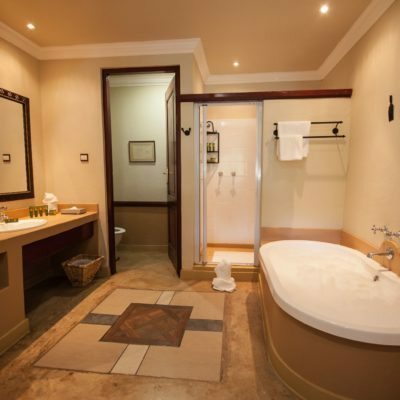 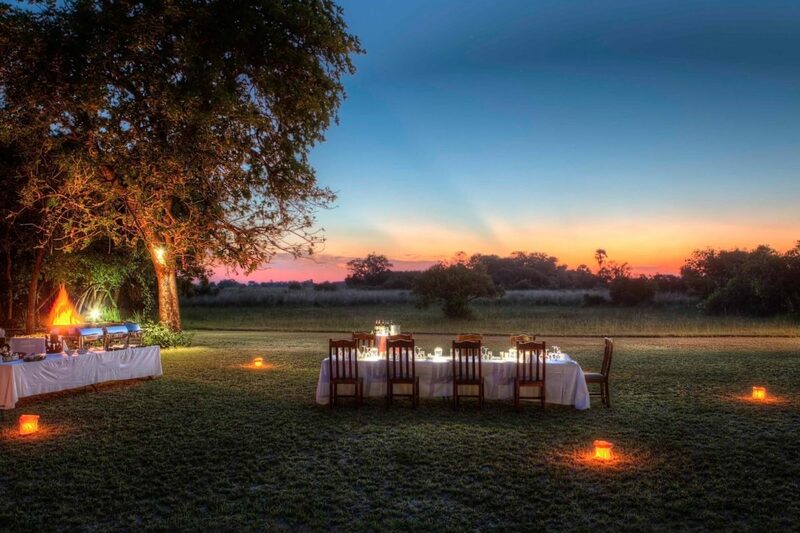 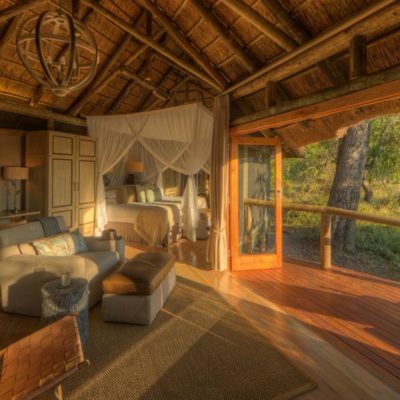 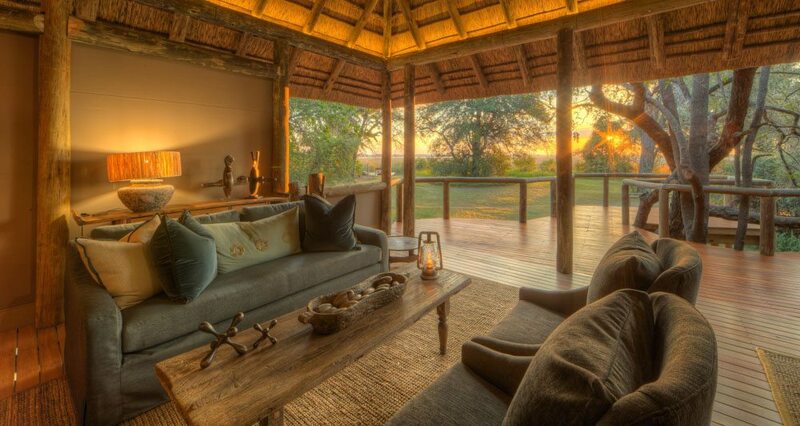 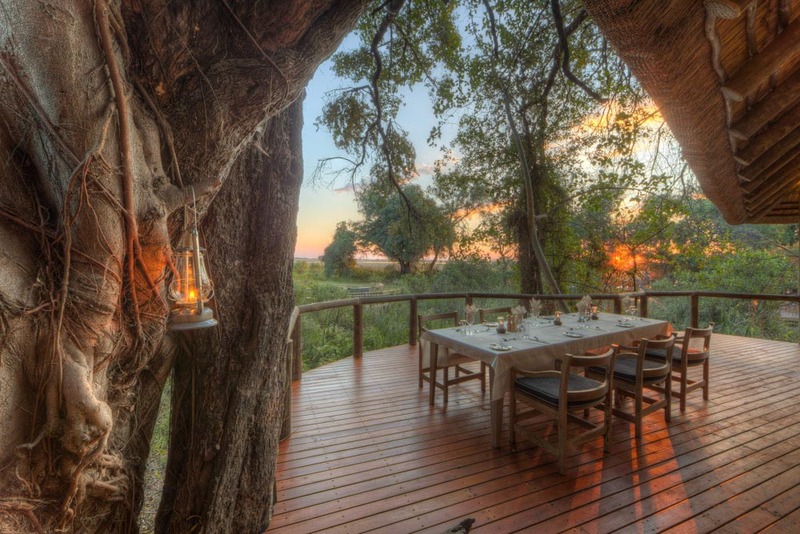 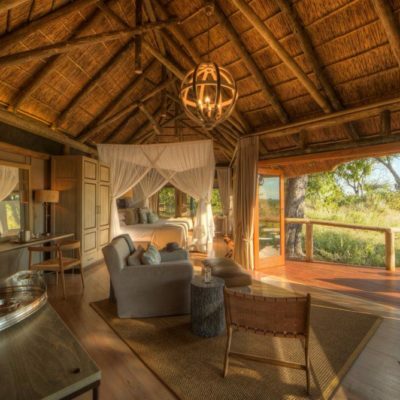 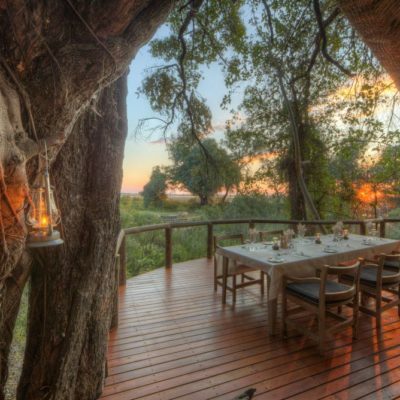 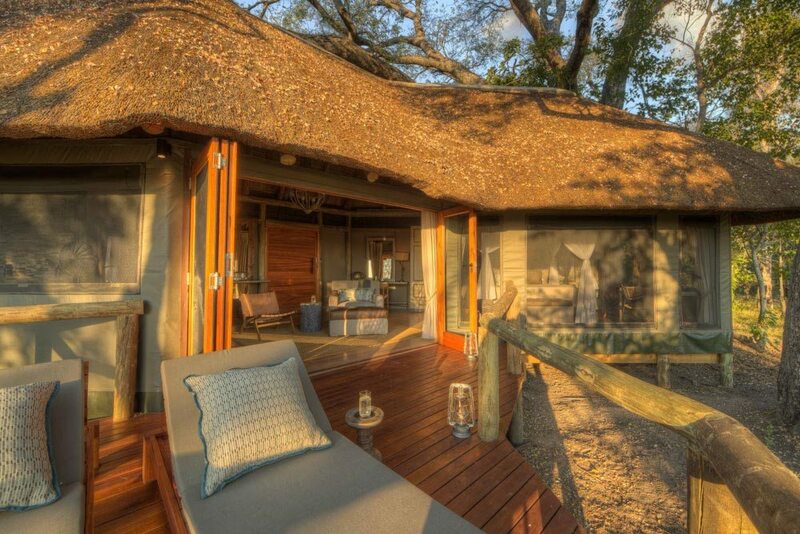 The prices of all the lodges that offer productive game drives are going up all the time. 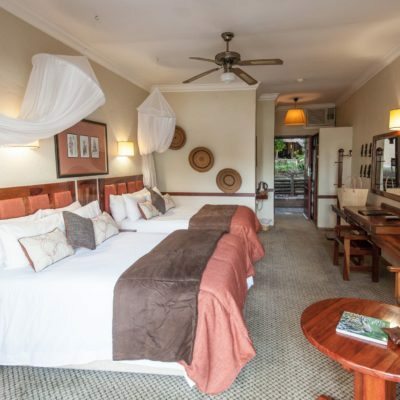 Pom Pom is one that offers a very competitive price, while still being in a prime location. 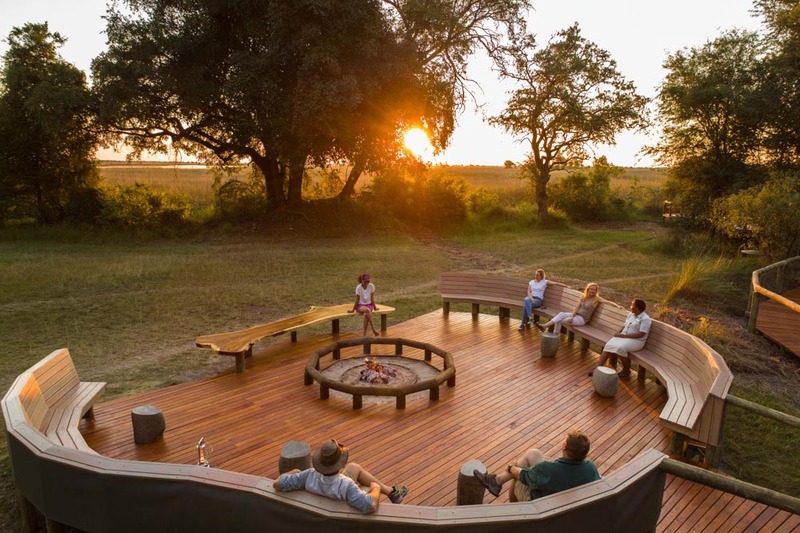 So, our thoughts is that it is a “no frills” value for money camp (although not necessarily cheap) and as we said, you can nearly always do the complete set of activities on offer in the delta at this ONE camp. 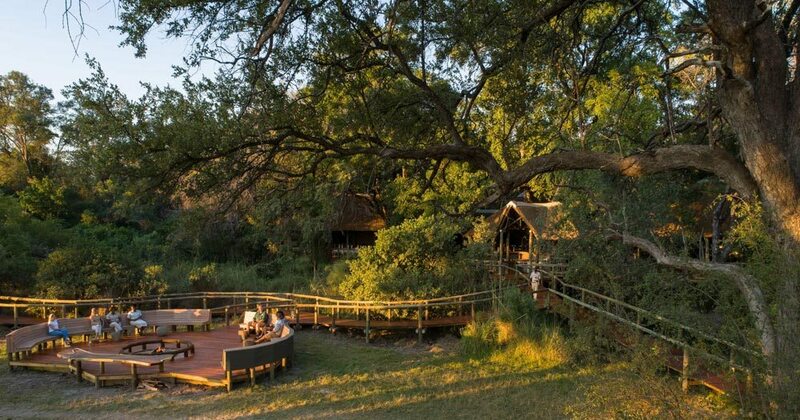 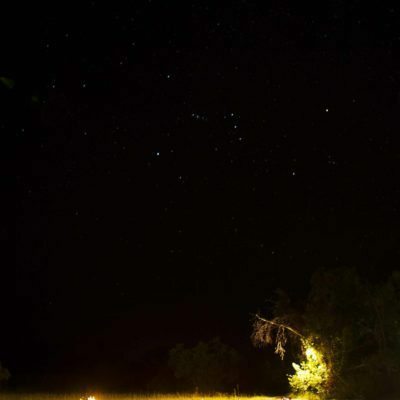 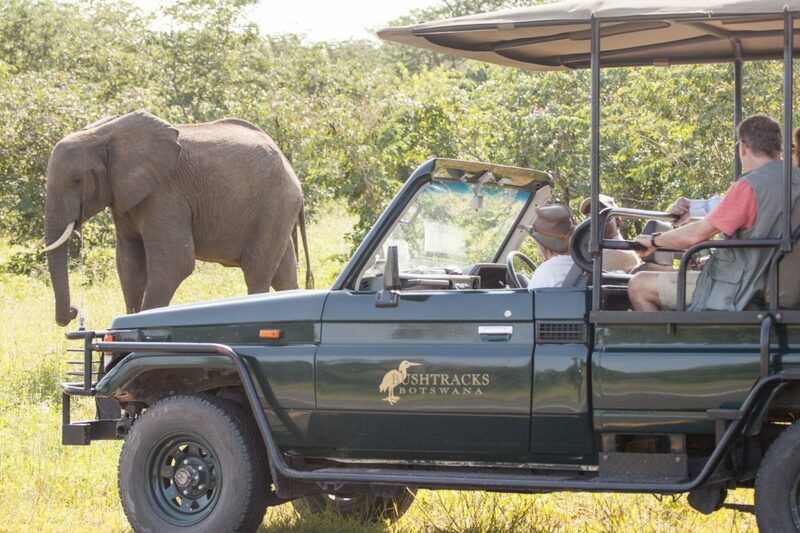 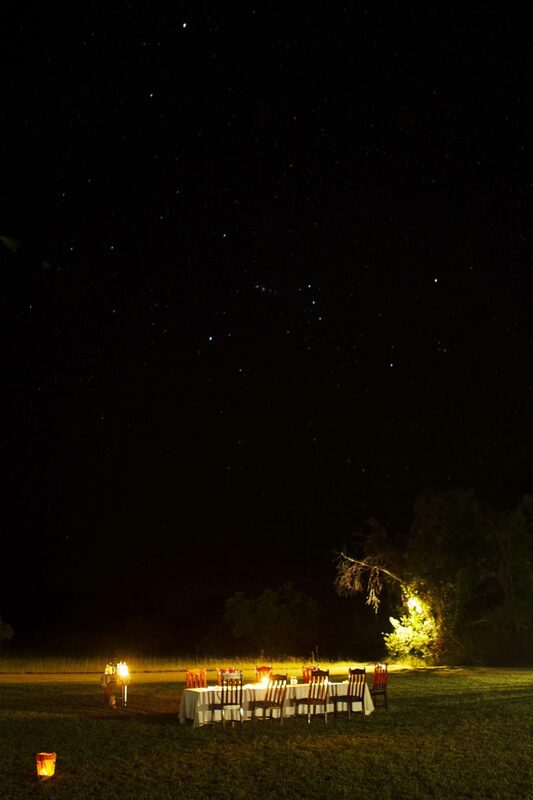 If you want a more intense game drive experience, this might not be the best choice of lodge for you?